As mentioned earlier, CA improves the soil physical and biological properties. Several of the effects of CA for different systems are summarized in Table 10.1. The resulting improved soil quality and improved nutrient cycling will improve the resilience of crops to adapt to changes in local climate change. 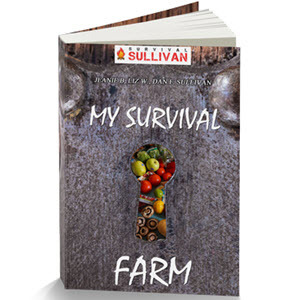 The minimal soil disturbance and soil cover will protect the biological component of the soil and help with biological tillage, keeping pests and diseases under control through biological diversity processes and making nutrients available to plants for good growth. Table 10.1. Overview of different cropping systems (conservation agriculture and conventional practices) that result in an increase in key soil parameters. Fig. 10.5. The effect of residue management on moisture content in the profile (0-60 cm) throughout the growing season in the wheat phase of the rotation in the zero-till treatments. (a) Residue removal or retention in the long-term rainfed sustainability trial in the highlands of Central Mexico (described in Govaerts etal., 2005). (b) Burning of residue or residue retention in the long-term irrigated sustainability trial in Ciudad Obregon, North Mexico (irrigations 28 days before and 43, 71 and 95 days after planting) (adapted from Verhulst et al., 2009). 1999); zero tillage with residue retention decreases the frequency and intensity of short mid-season droughts (Blevins et al., 1971; Bradford and Peterson, 2000). Also, in irrigated environments CA is a key strategy to increase water-use efficiency. Preliminary results for the same long-term irrigation sustainability trial in north Mexico resulted in the permanent raised beds with residue burned having a very low average irrigation efficiency of 24% compared to 52% for permanent raised beds where residue was retained and intermediate results (43%) for conventionally tilled beds (Verhulst et al., 2009). This shows that more than zero tillage is needed to buffer droughts; the retention of at least part of the crop residue is essential for success with the zero-tillage system. The permanent soil cover also protects the soil from erosion. The key to successful CA in rainfed areas will be convincing farmers to leave some of their valuable crop residues on the soil surface to obtain the benefits of permanent cover. Drought tolerance will be increased in some areas with CA, but resistance to flooding will be key in other areas. The increased infiltration resulting from CA in combination with the permanent raised-bed system will help to mitigate the effects of temporary flooding. Figure 10.6 shows how a severe rainfall event (30 mm in approximately 1 h) in the International Maize and Wheat Improvement Center (CIMMYT) high rainfall humid (2640 m above sea level; 19.17°N, 99.33°W silty clay loam soil of volcanic origin) experiment station in the central highlands of Mexico results in ponding water and a flooded crop at the lower end of the field in the conventionally tilled field, while in an adjacent CA field with permanent raised beds and residue retained on the soil surface the standing water is in the furrows, slowly infiltrating, resulting in no standing water at the lower end of the field. Fig. 10.6. The result of a severe rainfall event (30 mm in ~1 h) in a conventionally tilled field (a and c) and an adjacent conservation agriculture field with permanent raised beds and crop residue retained on the soil surface (b and d) in the CIMMYT high rainfall humid (2640 m above sea level; 19.17°N, 99.33°W silty clay loam soil of volcanic origin) experiment station in the central highlands of Mexico (photographs courtesy of F. Delgado). can bypass the zones of high mechanical impedance (Lipiec and Hatano, 2003) and increase the root zone. Changed temperature patterns and increased soil temperature especially at seeding and seedling emergence can negatively affect crop production. In tropical hot soils, mulch cover reduces soil peak temperatures that are too high for optimum growth and development to an appropriate level, favouring biological activity, initial crop growth and root development during the growing season (Acharya et al., 1998; Oliveira et al., 200l). In CA, soil-surface-retained residue affects soil temperature through its effect on the energy balance; tillage operations increase the rates of soil drying and heating because tillage disturbs the soil surface and increases the air pockets in which evaporation occurs (Licht and Al-Kaisi, 2005). Soil temperatures in surface layers can be significantly lower (often between 2 and 8°C) during daytime (in summer) in zero-tilled soils with residue retention compared to conventional tillage (Oliveira et al., 2001). In these same studies, during the night, the insulation effect of the residues led to higher temperatures so there was a lower amplitude of soil temperature with zero tillage. Soil sodicity and salinity can be ameliorated by CA practices (Table 10.1). According to Govaerts et al. (2007c), permanent raised-bed planting is a technology that reduces soil sodicity under rainfed conditions. They found the sodium (Na) concentration to be 2.64 and 1.80 times lower in the 0-5 cm and 5-20 cm layers, respectively, in permanent raised beds compared to conventionally tilled raised beds. Furthermore, the Na concentration increased with decreasing amounts of residue retained on the permanent raised beds. Compared to conventional tillage, values of exchangeable Na, exchangeable Na percentage and dispersion index were lower in an irrigated vertisol after 9 years of minimum tillage (Hulugalle and Entwistle, 1997). 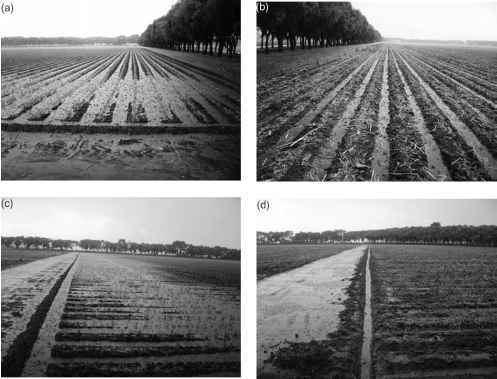 Also, Sayre (2005) reported reduced sodicity and salinity in soil under permanent raised beds with partial or full residue retention compared to conventionally tilled raised beds, which is important for saline areas. The combination of zero tillage with sufficient crop residue retention will reduce evaporation at the topsoil and, as such, salt accumulation.